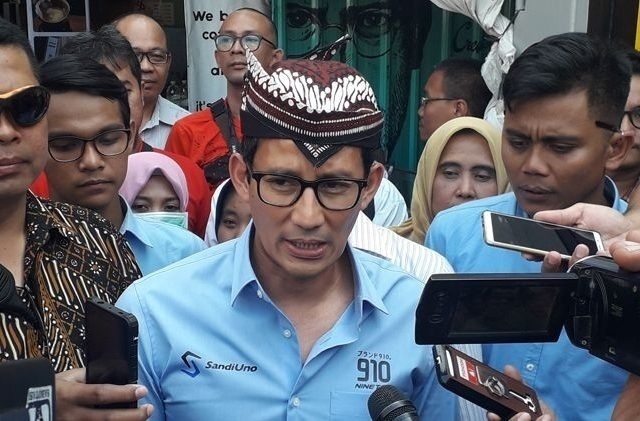 Prabowo’s running mate for the upcoming presidential election, Sandiaga Uno, has reportedly spent US$100million or Rp1.4trillion of campaign funds, in order to boost his electability. The amount comes from the wealthy businessman’s personal wealth. According to Bloomberg, Sandiaga is the largest donor to the 2019 election campaign. In February, the total campaign fund for Prabowo’s camp was found to be Rp134billion, with a whopoing Rp95.4 billion from Sandiaga Uno. “My wealth has significantly decreased in 2018. I’ve probably lost one third of my assets,” Sandi claimed. Sandi is known to have accumulated his wealth from his company, Saratoga Investama Sedaya. According to the latest papers by the Report of State Official Assets (LHKPN) last August, Sandi’s total wealth is Rp5trillion. Sandi has been known to have sold shares in Saratoga several times over the last few months, just before the presidential election. The proceeds have gone straight to fund his campaign. The George Washington University Graduate is currently setting his sights on Central Java, an area that has been known to be loyal to the incumbent Joko Widodo.